olive cultivars of Lake Garda. The PDO trademark is a guarantee in terms of quality and origin of the oil, a trademark that gives the oil the peculiar characteristics typical of this land. The native primary variety is Casaliva, other cultivars are Leccino and Frantoio. 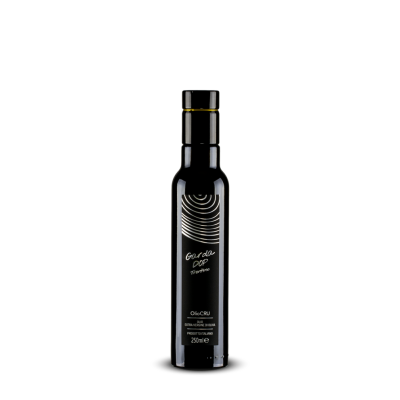 Garda PDO is a delicate oil able to enhance the flavour of the foods with which it is paired, without overwhelming them. Its sweet taste harmonizes the bitterness and spicy attributes, leaving a pleasant notes of almond in the mouth.